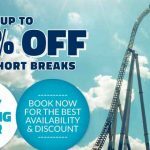 Book this Thorpe Park Special June Offer for a fantastic trip away. Escape to The Island Like No Other — book a THORPE Break and receive entry into the Park, PLUS your 2nd Day in the Park FREE as well as an overnight stay at a great nearby hotel, all from just £99 per couple! Or, you can have a truly jawesome experience when you book to stay in June — upgrade to stay at the THORPE SHARK Hotel from just an extra £5pp! — thats just £109 per couple! 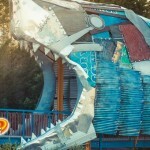 Double the thrills with a 2nd Day FREE! 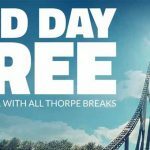 Book your short break stay at the THORPE SHARK Hotel and add even more bite to a fun packed visit to the UK’s most thrilling theme park and get your second day FREE! 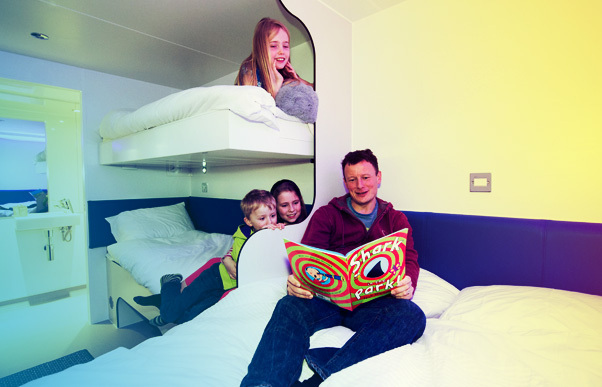 After a day enjoying THORPE PARK Resort’s 30 exhilarating rides and attractions, unwind in a bite-sized, en-suite room which sleeps up to four people — an exhilarating stay for your friends or family! 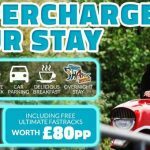 Enjoy a THORPE SHARK Hotel short break offer from just £99 per couple and why not make the most of your time, skip the queues and pack in the action!